Hi friends! I’m so excited for this installment of the Blogger’s Quilt Festival! I hope you all have a quilt, (or two) to add to the Festival. As a reminder, everyone is welcome! New quilter, or experienced quilter, we want to see your quilts! Please don’t be shy! You all are eligible to share up to two quilts, each in their own post, and category. If you are having a hard time deciding which category is best for your quilt, add up the perimeter, and use the size category that it fits in. I’m always inspired by the quilts in the Blogger’s Quilt Festival, and love learning more about each quilter as they share the process of making. I hope you will take the time to check out as many quilts as you can, and post a comment letting the quilter know you’ve been there and appreciate their work! Grab a cup of _____(your fav beverage) and enjoy the Festival from your couch, or desk chair! The Mini Quilt Category is for quilts measuring no more than 80″ around. The favorite quilt in this category will win six new patterns and a four-pack of Aurifil 50wt threads from Sassafras Lane Designs! These prizes were generously donated to be won by anyone that participates in the Festival!A random drawing will select winners for : A $50 Gift Certificate from Martingale! A pattern bundle from Prairie Grass Patterns! A Trace ‘N Create Quilt Template – Dresden Collection and Lone Star Collection designed by Nancy Zieman for Clover Needlecraft, from Quilt Expo! One of three six month subscriptions to Make Modern magazine! A Fat Quarter bundle of your choice, from Fat Quarter Shop! Thank you for organising this festival! I love looking at the amazing quilts that are entered every time. 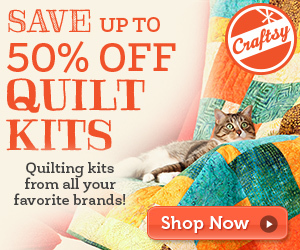 This is a wonderful gatering of Creatives and quilts! I’ve looked forward to it for months. Thank you so much for your time and energy in organizing and hosting this event. Hi Amy, Thanks for organising another great Bloggers Quilt Festival! Thanks Amy for hosting such a fun festival. We’re looking forward to seeing lots of beautiful quilts! Thanks so much for all of your hard work in putting this together again Amy. Its always such a fun place to meet new bloggers and a great source of inspiration. Thanks for another great quilt festival. I really look forward to this time of year. Huzzah! I look forward to this every spring and fall! I love this festival because of the amazing quilts and the stories behind them! Thanks for hosting my favorite blogging event of the year! So glad to be participating in the Festival again! Thanks, Amy, for making the fun possible! Thank you for hosting again! I look forward to this during the year and love to participate! Yay! I love this! Thank you, thank you, thank you!!! Will take a minute and enter this weekend! Great blog event! It’s been awhile since I’ve been here and I’m excited to once again take a peek into the creativity of quilters from around the world. I’m always inspired and awed by the variety of quilts shared. Thank you so much for giving all of us the opportunity to participate. I’m not a quilter (it’s on my list! ), but all this eye candy is just lovely! Thanks for hosting this again! I look forward to it every spring and fall. Thanks a lot for hosting this again! I look forward to all the beautiful quilts. Thanks again Amy for hosting another wonderful Festival! Your sponsors are awesome too! So excited to see all of the gorgeous quilts! Thank you, Amy, for this extravaganza of eye candy! I have so much fun each time viewing all the wonderful quilts made. Thanks Amy, you are a star. This is all very exciting! Thanks again for hosting this event, Amy. My blog is not super active but I always have to come out of the woodwork for the blogger’s quilt festival! Thanks Amy for hosting. I can’t wait to go check out all the lovely quilts! It’s so much fun. Looking forward to participating and voting!! Thanks for organizing this!! A big thank you to all of the sponsors and to Babylock, a Melody would be totally awesome! And thank you Amy for hosting every year, what a lot of work!! Thank you SO much for organizing this event once again. It is how I met some now very dear to me friends in quilting blogland last year when I entered! Here’s to lots more inspiration and eye candy! I am so glad you do this every year! I appreciate all the hard work and prep and follow up you do for this. THANK YOU!! Thank you for running this great event. 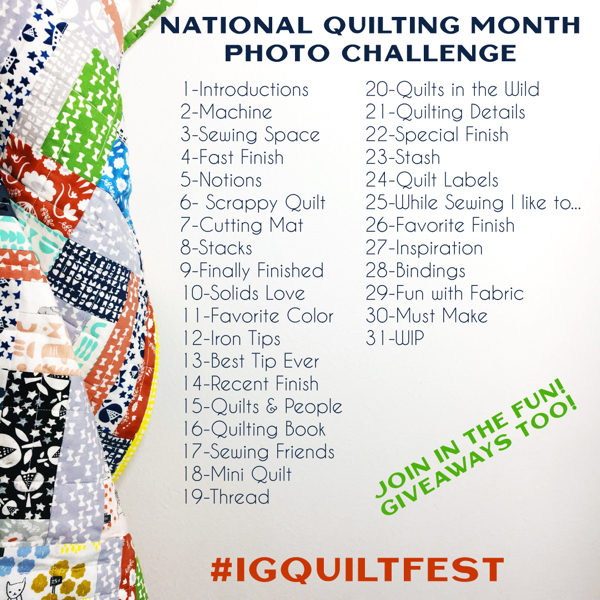 This will be my third time entering, and each time I’ve found fantastic new quilters displaying their quilts. Thanks for hosting this inspiring event. I get so many wonderful quilting ideas from all the entries. Thx for this great quilt event. I loved all inspiring quilts. Thank you so much, Amy for hosting this online quilt show again! I am looking forward to browse through all the beautiful quilts during the next days! Thanks for organising this fun link up! Thanks as always for hosting one of the best online quilting events of the year! Thanks for hosting again and again! So excited to see all the quilts! Thanks so much for organising again, I just need to write a blog post to link up – the quilt is ready and waiting! I can’t wait to look through all the categories to see all the great quilts. Such inspiration! Thanks so much for organizing this! Thanks Amy! Looking forward to seeing all the quilts! Always excited to see so many amazing quilts all in one place! Thanks again for hosting!! Hi Amy, thanks for organizing this great event once again. I love looking through all the entries, it’s nice to see such a diverse collection of quilts on display. Hi Amy, thanks again for organizing this wonderful event! It gives us some great quilty eye-candy for those of us who can’t attend quilt market!! Just linked up my first entry in the mini category. Just linked up a baby quilt for the applique category–thanks for hosting! I plan to Link up a second post in the morning in the original design category. Thanks so much for sponsoring the festival. It’s fun to see all the wonderful quilts people have completed. I’ve posted two (large & small categories)–assuming I’ve done it correctly! I love events like this. Thanks for letting us participate! 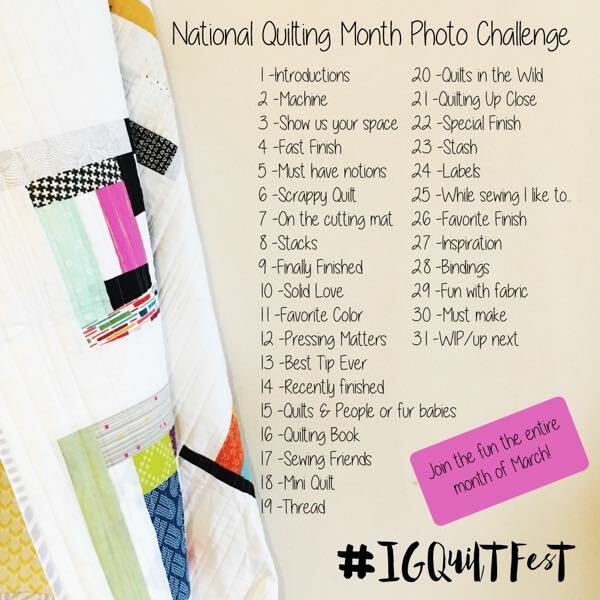 This is such an awesome way for the blogger quilt artsts to show their favorite quilts. I can’t wait to see all of them. Thank you. Thank you for organising the Blogger’s Quilt Festival again Amy, you do a great job! Looking forward to seeing all the amazing entries! Excited to enter for the first time! This is very inspiring and fun! So much creativity and skill. I am relatively new to quilting but love it so much. I’m having a great time, looking at so many beautiful quilts. There’s lots to learn and lots of inspiration here. Thank you for organizing this Festival! Great organisation as always, looking forward to seeing all the fab quilts. Thank you Amy for continuing to pull off a fabulous show, year after year!!! I have been looking forward to this year’s festival. This is such a fun event. Thank you for having it again this year. Thanks for all of your hard work on another Quilt Fest. I’m always inspired! I love seeing the quilts and marveling at the talented people Thank you for hosting this event! 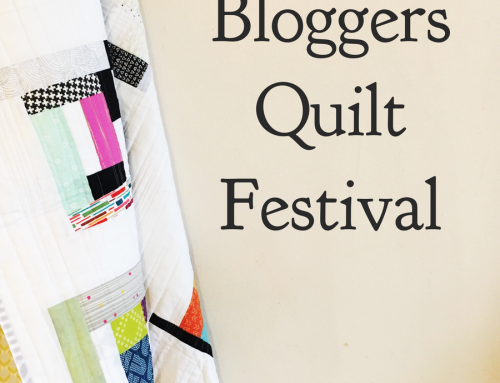 The Quilt Bloggers Festival is always so much fun. Thank you for organizing this once again. Thank you for organizing this great even again! Thank you for organizing this festival once again! Thanks for all your hard work Amy! Such great fun to see all the quilts! Hi Amy! Thanks again for organizing this festival. I love seeing all of the great quilts other bloggers are making–so inspiring! Thanks for hosting one of my favorite quilt shows! Thank you for hosting the Festival again! I am looking forward to checking out the quilts. Have just entered a quilt in the ROYGBIV category and will enter another one tomorrow. Thanks so much for hosting! This is my first time entering after having enjoyed the previous festivals. How exciting! It’s nice to see all the creativity! Thanks for hosting. Thanks for organising this collective of bloggers to showcase some wonderful eye candy! I love this event. The quilts are beautiful and inspiring. It’s fantastic to see all the support for this event! This is such a great initiative. Looking forward to browsing through all the beauties and even entering a quilt this time! Thank you for the party again this year – I always find new blogs to follow and love sharing my quilts with others and to reflect on what I’ve made. High five sponsors! I’m looking forward to seeing everyone’s entries. So many beautiful quilts. Thank you Amy for again organizing the amazing Blogger’s Quilt Festival! Thank you to all of the sponsors and to Babylock! And thank you Amy for hosting every year! So excited to look at the entries this year. Thanks for organizing. I’ll try! Thanks for organizing. Thanks for hosting. I can’t imagine how much work it is but i love it! Thank you for taking on and organizing such a huge task as the Festival! Thank you for putting this together, it’s so enjoyable to see what everyone had been creating! 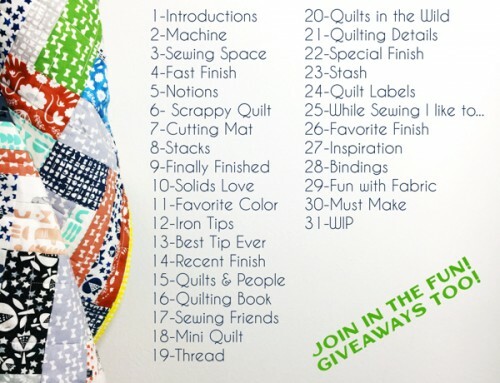 I’m a brand new quilter so I cannot wait to join!!! Wonderful job, once again, Amy! I am excited to be able to participate in my first quilt festival of any kind, virtual or real! What a great event. Thanks for organizing it! Thanks for running the festival yet again, Amy! I was extra lucky this year in getting to participate in the festival and attend my first Quilt Market, too! Thank you for running the festival Amy. It is a few years since I last put a quilt in the festival so nice to see all the other quilts and give me lots of inspiration. Amy: Thanks again for hosting the festival. It is quite fun for us bloggers to be a part of this. I know it is a lot of work. Such a great online showcase. Thanks Amy for hosting another wonderful festival!! Thanks so much for doing this! I love seeing all these amazing quilts and reading the stories behind many of them. This is the 1st time I’ve heard of the Quilt Festival. I’m looking forward to seeing all there is to see! Thank you! excited to be a part of this festival again! Thanks for hosting such a fun quilt festival. This is my first time entering. It is always fun to see everyone’s hard work and beautiful quilts! i love this contest. It is so inspiring to see all the quilts! I also love my Baby Lock. It’s their beginner model called Anna and it has been perfect for learning to sew on. Now that I’ve improved so much, it would be nice to win a more advanced model like the Melody. But if I don’t win, I’ll still be doing fine with my Anna for a couple more years. Thanks for organising this event again!! It’s a great way to showcase all the fabulous work that’s out there. I have just entered my quilt in the ‘Art’ category. woohoo – so excited to be joining in your fabulous Festival for the first time ! thanks so much for all your hard work in organising this awesome Quilt Festival ! Thanks a bunch from a second time participant. Great to be part of this! Thanks so much for hosting this fun event again! I love seeing all the amazing quilts. And thanks as well to all the generous sponsors! I’m going to have to sign up for your newsletter so I get the info for this next year as well! Such amazing quilts. And what a great idea this show is. Thanks again, Amy, for hosting Blogger’s Quilt Festival! With every event, I come away so inspired– and it is such a treat to share. You are a rock star!!! Thank you, Amy, for this fantastic party with so much inspiration from all over the world. Here I live is no possibilities for an exhibition, so this one is great for me. Thanks also to all sponsors, we’ll keep on buying fabrics forever. I am not a blogger but I always get lots of inspiration from the wonderful quilts that get posted in this festival. Thanks for hosting! Thank you for hosting. It is always such an inspiration to see the amazing work that is produced. Love this Blogger’ s Quiltfestival_thank you for organising it. Thank you for so generously organizing this Festival! I love this opportunity to visit the other bloggers, discover quilts I have not seen before and meeting talented people. Thank you for organizing this event. I’m very glad I found it in time to enter my quilts! Such a great festival! So exiting to participate for the first time. Thanks for organizing!! Thanks for hosting the festival, it’s such an inspiration to look at all the amazing work people create. Thanks for organising another great Bloggers Quilt Festival! This is great source of inspiration!!! This ought to be a treat! If I can pull it together, I will enter one as well! just found this. How fun! Thank you, Amy for hosting the Blogger’s Quilt Festival. There are so many inspiring quilts on display all in one place. This is my first time for entering one of my quilts. I love the sentiment behind this quilt festival. It’s supportive, relaxing, fun and inspirational! Thank you for bringing us all together. Thank you for organizing this wonderful event. This is my first quilt and my first time entering. I will enter my Quilt in the “large” category. Thank you for organizing this great festival. It is a really great opportunity to get to know more fellow quilters-bloggers. Hi Amy, I’m so excited to be back and taking part in your fab Bloggers’ Quilt Festival again. I’ve just entered a domestic machine quilted quilt, and am looking forward to visiting lots of blogs with the most amazing quilts! 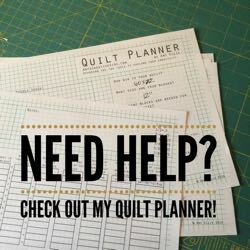 What a great way to help bloggers and quilters to connect. I am very new to quilting and this festival helped me (already) to find the any wonderful quilting blogs. I decided to enter though I’m entering a quilt that is only my second. This is my first time participating!! Thanks, Amy for a great event! Love seeing all the wonderful quilts. Thanks so much for hosting this great online quilt festival. I just entered for the first time in the mini quilt category. Thank you for hosting this Amy! I am honored to participate for the first time, putting two quilts into the home machine quilted and small quilt categories. Thank you also to the generous sponsors of this event. It’s exciting! Thanks for hosting! I look forward to this every Spring and Fall! I entered a quilt in the original design category. Thanks for hosting! Thank you for again hosting this! I know it takes a ton of work and I love seeing all of the quilts that people enter! Thanks for hosting! I love looking at all the quilts. Another wonderful festival! I’m so excited to be a part of it! Thank you Amy! 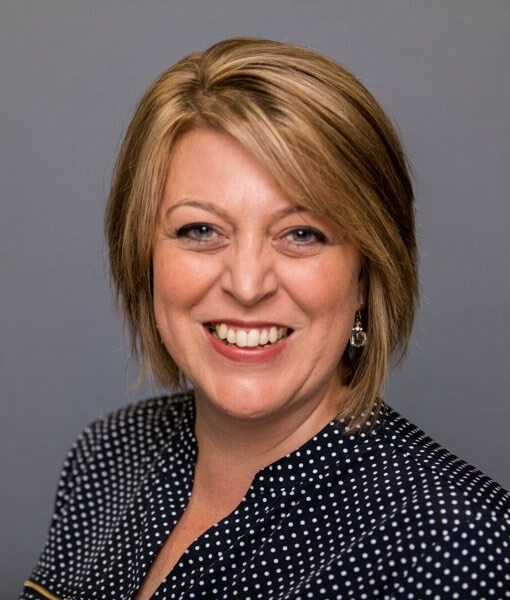 This has been fabulous fun Amy – thank you for everything you do to make the festival possible! I’m having fun looking at all these fabulous quilts made by extremely talented people. Thanks for putting this event together, I feel inspired to work harder on free motion. It’s amazing what I see that can be done. I really like this venue. I love to see what others have done and find inspiration. hello there! Nice to meet everyone! This is my first time entering in the quilt festival…. HOW FUN! I love seeing all of the inspiration during the Blogger’s Quilt Festival! Thank you so much for putting this together. I know it has to be so much work!!! Love the digital quilt show. thanks for taking the time to host this event! The Blogger’s Quilt Festival is always a feast for the eyes! Thanks for all you do to organize it, Amy! Fabulous as always! Thank you so much for this fun festival!!! Just in the nick of time to join this wonderful event. Thank goodness we’re ahead in time in this part of the world, so I have a bit of grace! Thanks so much for all the work you put in to organising this! What a wonderful festival. THANKS! As always, thanks for hosting such a fun & wonderful festival. I cant’ wait to spend time over the weekend checking out ALL the wonderful creative entries. Amy, thank you for hosting this amazing collection of art once again! I love participating, and seeing what everyone else has made. This is so valuable for our quilting community! I love the collections of beautiful quilts. There is so much talent represented here! Oh I can’t wait to curl up with my laptop and see all the creativity! So so FUN! Amy, thanks much for such beautiful show! Thank you for organizing. Always fun to see so many beautiful quilts and inspiration. Hi there! Thanks for hosting BQF again. I love looking at the quilts — and the chance to win a prize. Thanks again for the giveaways! Thank you so much for creating this opportunity to “see and be seen.” I love that we can view what others are doing through their blogs. The world of quilting and ideas and people is such a fun place to be! Thanks for hosting, Amy. I’m happy to be entering my quilts for the first time. Thanks so much for hosting this fantastic event! So much inspiration – all in one place! This is the first year I’ve heard of the festival (new to quilting!) and what a cool idea it is. Looking through all the amazing entries now! Thanks again for a wonderful BQF this year! The entries this season are amazing!! Thanks for organizing this wonderful show that brings quilters together from around the world. Great inspiration for future quilts too. I’m in again this time round, thank you so much Amy! Accchhhh………I’ve been so busy in twelve different directions that I missed entering my little quilt. I’ve also had trouble finding the ‘show’ some days. But I saw some links today, so maybe I’ll get to do some ‘quilt show browsing’ today ! Please enter me in your drawing ! And thanks for the work you put into this each time ! thanks so much for hosting this awesome festival!!! I am excited for all the entries!! Thank you for organizing the Fesival again!!! This is my second time participating. I will have so much fun visiting all the fantastic blogs to look at the gorgeous quilts. Sounds like a lovely weekend ahead! I’m so excited to browse through what I know will be amazing and inspirational quilts. thank you for organizing this! Such beautiful pieces – so hard to choose! thank you Amy for once again hosting this quilt festival, it has been a pleasure to look at all these wonderful quilts that have been entered. I’m sure it is a lot of work for you to do this and we appreciate it. As always, thank you for organizing such a fun and inspiring event, Amy! so many ideas, so many fabric choices, and all bundled up in one spot so we can just sit and soak it all in….thank you for organizing this online delight! Every time the Blogger’s Quilt Festival rolls around I’m reminded how much I wished I had a blog so I could enter!! Maybe someday. But at least I can enjoy everyone else’s lovely quilts! I always find the entries so inspiring! I’d like to submit a quilt to the original category but not sure how to go about this. thank you so much for organizing this festival! This is my first time at any quilt festival! I am a newbie at quilting and hope to be inspired by all of these beautiful quilts! So happy to be joining in the festival once again! 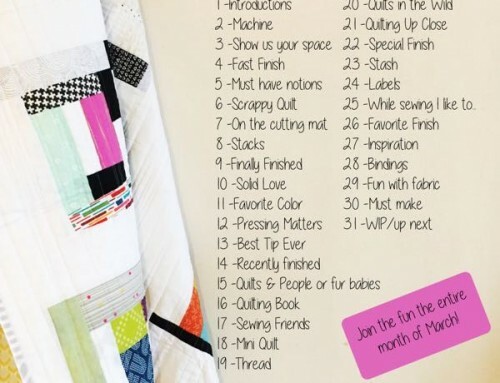 I just love how you connect quilter’s from all over the world for a few weeks a year!!!! Thank you so much for organising yet another wonderful festival. It has been so inspiring to see and read about so many stuning creations. Thanks so much for doing this twice a year; I know you must put in a lot of work behind the scenes! thanks so much for hosting this, Amy! I look forward to to the BQF every year!! Thanks for hosting, this is fun! This is such a creative boost! Thanks for putting in all the work to provide it for us!! Thanks for this great opportunity to view so many great projects. I look forward to this twice a year. This is so exciting to be a part of. Thanks so much for hosting this fun festival again this year! Thank you so much for hosting this great festival, Amy!!! 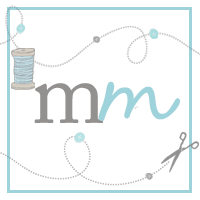 This is one of my favorite online quilting events, thank you so much for hosting! Hoping to win something ! I haven’t been able to see much of the show, but oh, how I love quilts ! Thank you for doing this again. Great funto participate and see lots of quilts! Thank you Amy! It’s so inspiring to see everyones beautiful work. Such I great idea, I started this year and it would be such a fun thing, to join here next year! 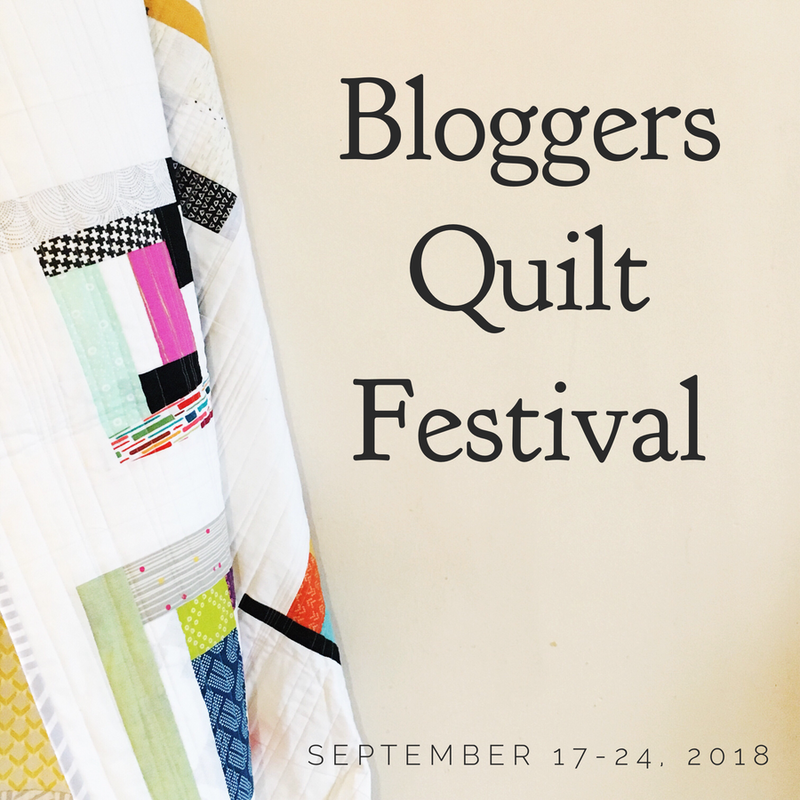 Thank you for another great Blogger’s quilt festival! We had a great time! Is it possible to see the votes of the quilts? I enjoyed visiting the categories and seeing the fun quilts people have been creating. Thanks for hosting and organizing! Love the Bloggers Quilt Festival! I hope I get a chance to look through the entries this time ! I am just so busy, but this festival reminds me how tickled I am to use the Melody BabyLock sewing machine that I won a year ago last Spring ! I hope it just as pleasant a surprise to this year’s winner !